I promised a continued look at all-weather racing, this being the prime time for these venues ( look at today’s race card!) so here’sa couple more courses and how favourites perform at these venues by draw ; number of runners ; days since last run and distance. For you favourite layers over the last 10 years, you’d have made a 26 point profit to level stakes with a 10% return on investment over 16 furlongs ( 2 miles). Last eletter we saw these middle distances saw a drop in the performance of favourites on all-weather surfaces. For backers, there is no profit to be made from Industry SP, but to Betfair SP, 9 furlongs ( 1 mile 1 furlong), 12 furlongs ( 1 mile 4 furlongs) and 6 furlongs, yields 38, 34, and 30 points profits. 5 runner races, 7 runner races and 12 runner races are clearly the best for favourite backers with 59, 42 and 34 points profits to Betfair SP. Again this distinction must be made, given the 60 point loss to Industry SP for 12 runner races. The magic number tends to be 30 days since last run ( you can see this figure in the traditional race card near the horse’s name). The top 10 profit makers for favourite backers all fell within 34 days. I had to limit to the top 10 but it does provide a consistent pattern. Favourites should be relatively fit! Favourites drawn in stalls 5 and 6 have simply bossed the stats. 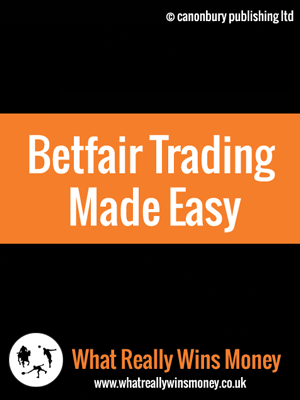 86 points profit from Stall 6 for favourites and 37 points profit from Stall 5 to Betfair SP. Chelmsford is a relatively new all-weather venue. Are there any patterns emerging for favourites early on in this venue’s career. 14 and 13 points profit to Betfair SP for 1 mile 2 furlong and 1 mile 5 furlong races, rather bucking the trend for all-weather venues to see favourites falter at these middle distances. 13 and 12 runner races are clearly good for favourites. 26 and 11 points profit to Betfair SP respectively. 13 runner races have a good return on investment of 24% and are , importantly, equally as profitable for favourites to Industry SP. I will record the top 10 by days since last run – 12;24;21;27;3;22;31;14;17;18. Clearly again, the top 10 is dominated by favourites running within 31 days of their last run. Freshness the key. 10;2;4;1;5;11 the draws hitting the top 6 in terms of profitability for favourites. There is no discernible pattern here . It would seem low draws dominate but then favourites drawn 10 have seen an 11 point profit and 21% return on investment. I hope you find these favourite stats interesting. Maybe Chelmsford is a little young as a venue to offer us comprehensive conclusions. 2 more venues next week. For me, the recurring theme is the need for favourites at all-weather venues to have run within a month or so of their last race. Perhaps this is something that can spread to other race types and venues?